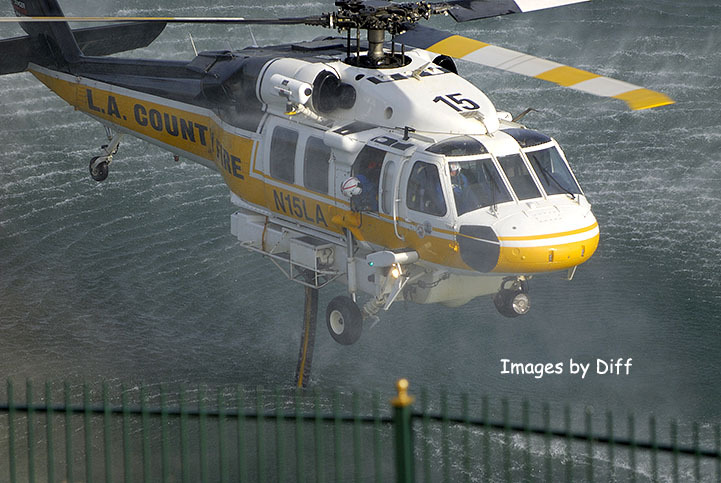 click photo to enlarge During the Big Horn fire the Helicopters were getting water from the percolation basin in the new housing development near us so I went one day to snap a few pictures. 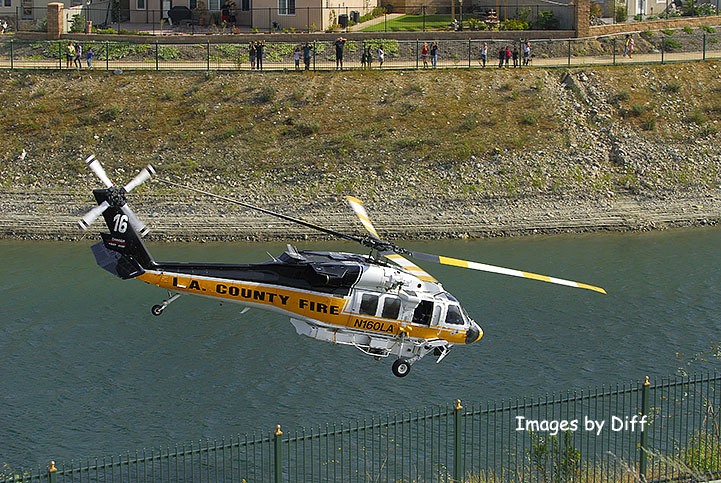 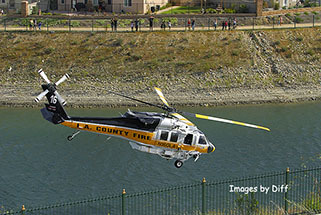 The choppers here are the LA County Fire Departments Sikorski S-70A Firehawks. 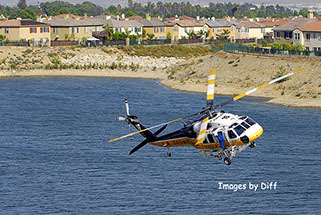 This family of helicopters was first developed for the military and is considered a medium lift helicopter. 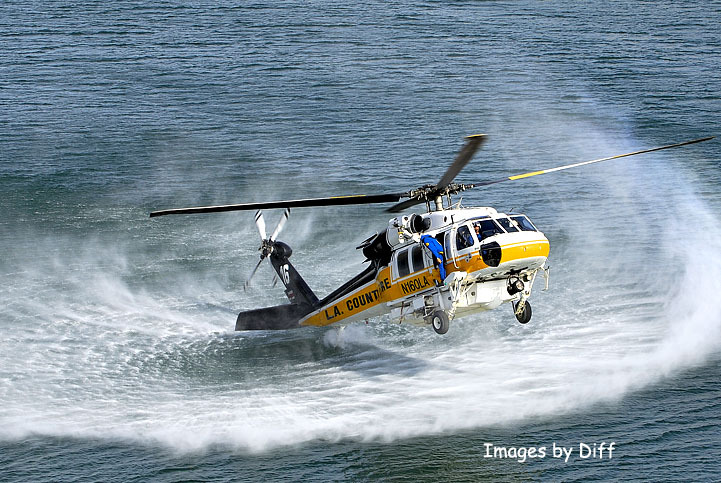 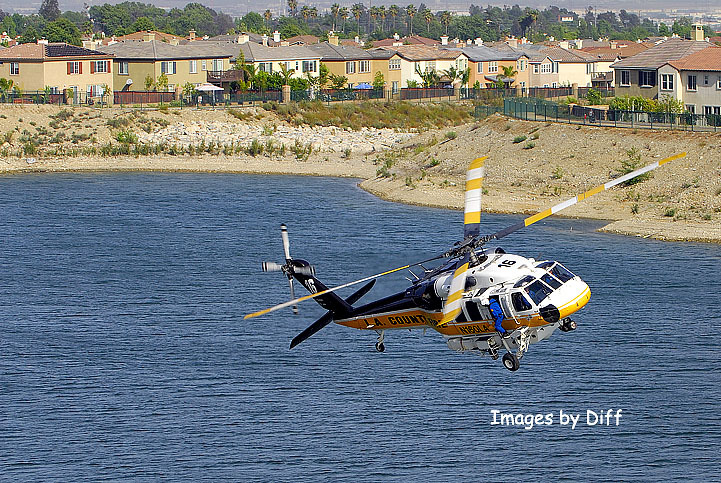 click photo to enlarge LA County has 2 of these in their Air Operations section. 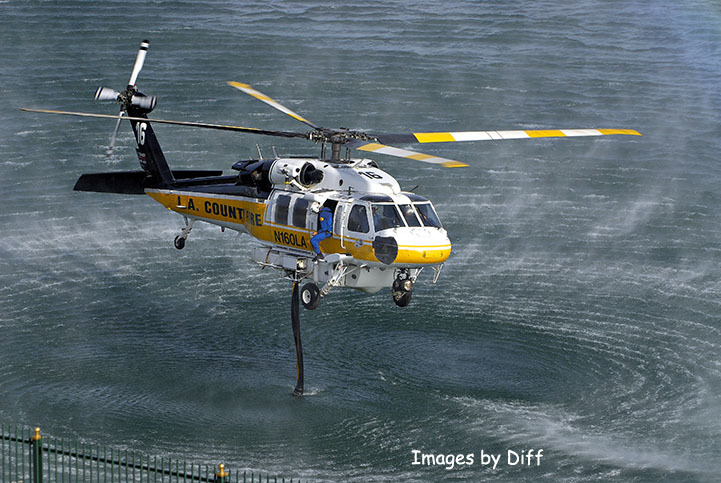 Why this guy was getting the tail so close to the water I have no idea but I can't help but wonder what would have happened is the rotor had hit the water. click photo to enlarge They really kicked up quite a lot of mist as they hovered right over the water to fill the 1,000 gallon tank. The basis for the S-70A Firehawk is the Sikorsky Blackhawk UH-60L.